There is certainly no loophole about it…very nicely written! Such beautiful devotion and romance. I love it, Meenakshi! ‘Life and death will only play, their role in between…’ Superb lines that sums up your whole poem that is so wonderfully written, Meenakshi. 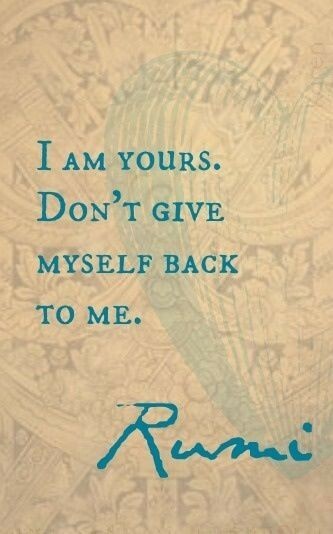 Romance of the soul and perfect words of Rumi. This reminds me to visit your Awesome blog which Is long due. I missed your inspiring and beautiful posts. Going to read soon. Welcome Meenakshi it is k take your time dear and have a great day. I hope all good with you.